Get Repairs Right The First Time! 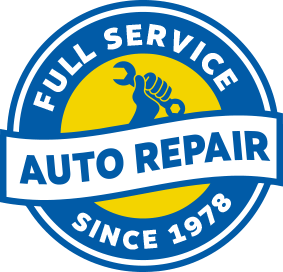 The team at SAF-T Auto Centers is here to provide you expertise in full automotive service in Wallingford and Waterbury, CT. We are experienced technicians that service a variety of vehicle makes and models, including hybrids and diesel engines. Our secret to extending the road-life of your vehicle is our accurate engine diagnoses. Bring us any warning signs or worries that you have about your vehicle, and we’ll make them disappear. From bumper to bumper we’ll properly service any of your vehicle’s components, restoring it to optimal performance. Let’s start with expert maintenance services that keep you on the road and in front of any repair problems. Our ASE-Certified techs perform all routine maintenance like timely oil changes, brake service, tune ups, tire services, and more. We design maintenance schedules around your driving habits, the age of your vehicle, and the manufacturer’s recommendations. Preserving your vehicle’s engine means adhering to the vehicle manufacturer’s recommended maintenance intervals. Even the most diligent maintenance schedule will occasionally run into a repair need. All of our repairs use the best quality replacement parts and are performed using state-of-the-art tools and equipment. Our full service repair shops are equipped to handle any repair need. Let us take a look under the hood to let you know exactly what you need, and how we can provide it for less. From minor needs like brake service to major repairs like engine or transmission repairs, trust our specialists. Any foreign or domestic auto, truck, or SUV will be properly serviced by our team. We can service your business or organization’s entire fleet. We also perform expert diesel and hybrid repairs. Schedule your next auto repair or maintenance services with the team of experts at SAF-T Auto Centers. Choose the location nearest you, and give us a call to set up an appointment. You can find one our repair facilities in Wallingford or Waterbury. If you find yourself in the area with any question or concerns about your vehicle, feel free to stop in. We gladly accept walk-ins, and look forward to serving you! As a NAPA Auto Care Center, we offer access to the NAPA Service Assistant - an interactive tool to help you learn more about your vehicle and better understand hot it operates. WHen you use NAPA Easy Pay Financing for your services and repairs, we will extend our 24 month/24,000 mile warranty to the nationwide NAPA Peace of Mind 36 month / 36,000 mile warranty.